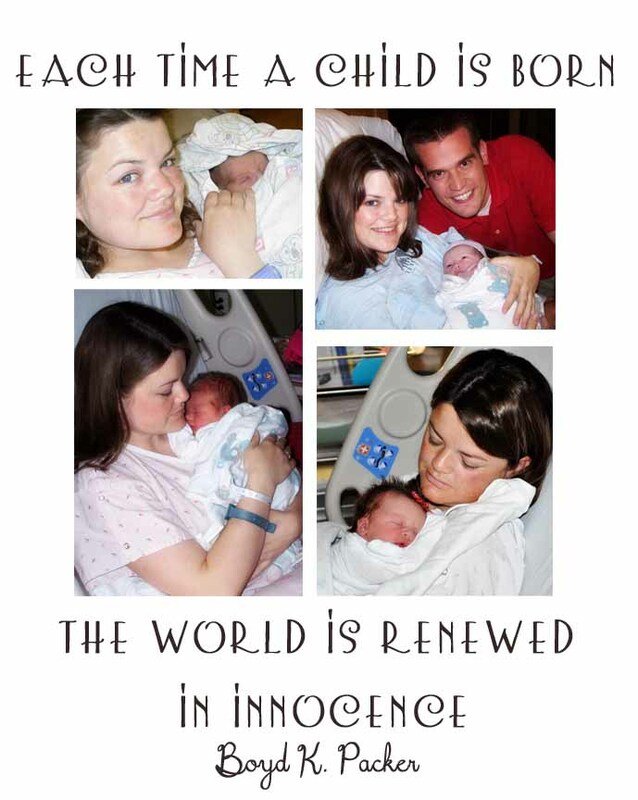 I love this quote: “Every time a child is born, the world is renewed in innocence” Boyd K. Packer. I love the feeling that abounds when a new baby is born. It is a feeling of peace and joy. I love visiting people in the hospital after they have babies–I get to have a little taste of that feeling. I know newborns can bring with them sleeplessness, shock, and added stress. But they also bring along such an amazing spirit. Pay attention to that special spirit that pervades and drink it in! Cling to that feeling and let it help propel you through your sleepless moments.